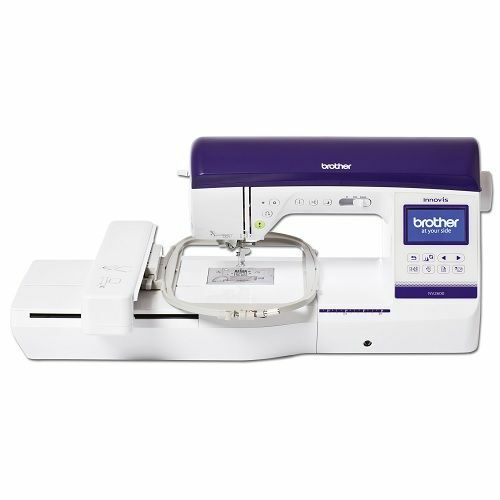 If you would like a lighter weight sewing and embroidery machine that also includes many of the great features from top-of-the-range models then you have to take a look at this Brother Innovis 2600 (NV2600). Although you would love this as a your main pride and joy machine, we also think it is a great second machine for taking to workshops and quilt groups. Top models are too heavy to transport and cheaper models just don't quite provide the finesse that this machine oozes. 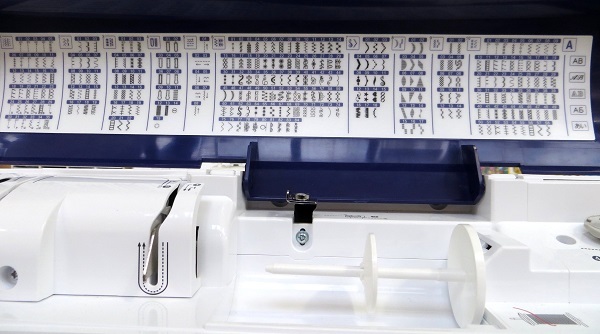 You can choose from a fabulous array of stitches, the feeding system ensures all fabric types will be effortless and pivoting is automatic without needing to use a knee lift (though one is supplied). 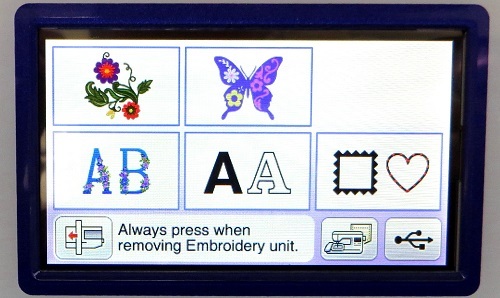 You can then attach the embroidery unit and use the hi-res colour screen and generous 6in x 10in (160 x 260mm) embroidery area to combine designs and import quickly from your USB media. 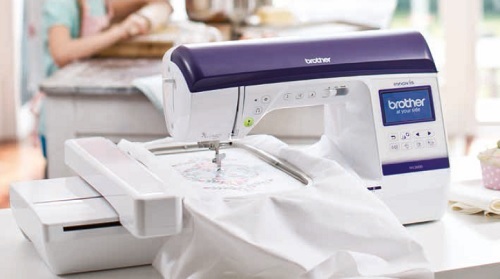 As with all Brother models the NV2600 is adorably easy to use with quiet operation and gorgeous stitch quality. While the screen is smaller than the top machines it's beautifully easy to navigate and your designs look crisp and detailed. Brother's exclusive ICAPS (Innovis Continuous Auto Pressure System) automatically adjusts presser foot pressure when you encounter different thicknesses in your fabric such as joins and seams, ensuring good stitch quality and feed. Another great feature is the ability to sew sideways without having to rotate your fabric. 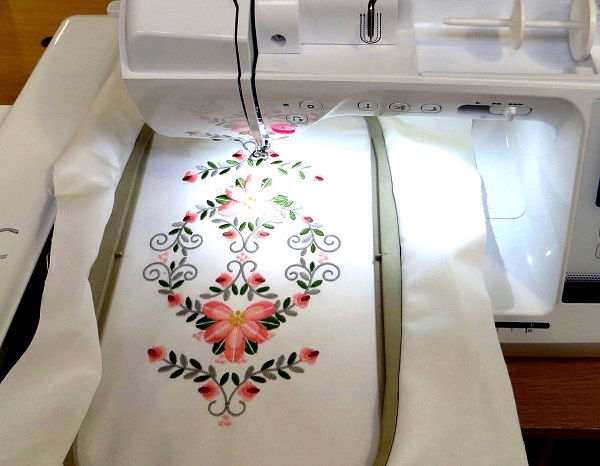 This also means that decorative stitches are wider than just the swing of the needle as the machine moves your fabric sideways as well as back/forwards to create gorgeous designs. Talk to almost anyone who has owned a Brother embroidery machine and you'll always here about how easy they are to use. It's so easy to find what you need because the screen menus are thoughtfully presented to you. Combine ease-of-use with amazing stitch quality and you couldn't wish for more. It's much easier to combine seperate designs and lettering on screen and embroider them as one single design than it is to try and position them on the fabric as individual parts as you would with the NV750E. The small but fully functional screen on the NV800E even lets you curve text and save your finished design back to USB media for using again if needed. 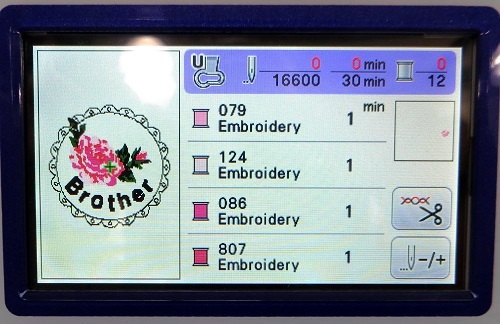 Supplied with 138 built-in designs and 11 fonts for personalising your creations this is a serious embroidery machine. 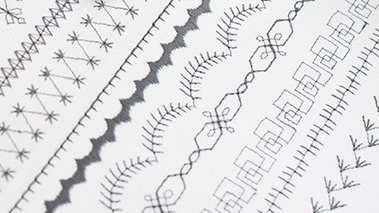 Add 232 stitches for sewing just about any project or quilt and you have amazing value for money. In-store now. 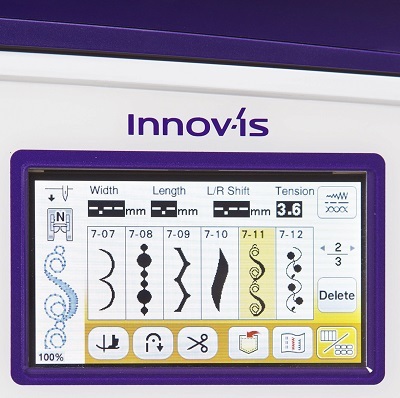 This machine is also available as an embroidery-only option - the Innovis NV800E. This machine is a beautiful machine. It is light enough to take to classes. 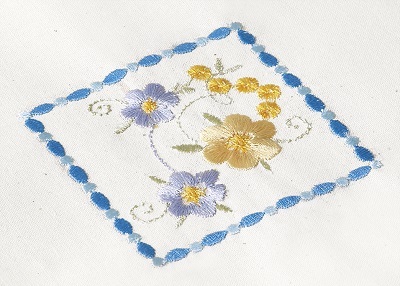 Lovely even embroidery, smooth quilting and the sewing stitches are many and varied. I have had other Brother machines and this is one of the best.